Our mission is to revolutionize the way people share the most significant experiences in their life. We are idealists who know that people value memories most; Zioneyez provides a solution for capturing these moments without compromising convenience or style. The ZionEyez team is as diverse as its products, a wide spectrum of individuals with technology backgrounds and a common goal. To create the most effortless video recording experience in existence. Before ZionEyez, our engineering team contributed to the development of the Flip Video camera. Now that Flip is obsolete; “Eyez™” evolved into the next generation of video recording devices. ZionEyez will offer a 720p HD camera; its 8 GB of flash memory allows the storage of up to three hours of video. The specifications include 802.11n WiFi, Bluetooth v3.0, and a micro USB port for charging and data transfer. 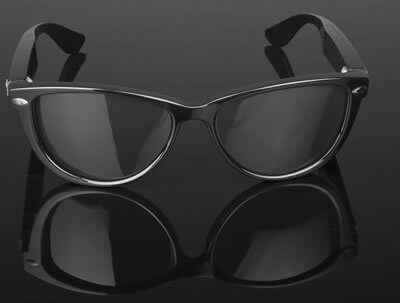 You can pre-order your ZionEyez glasses for just $149.00, a $50 savings over the regular price.